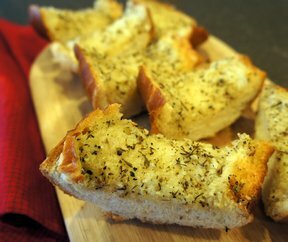 Garlic bread goes with just about any meal and when you add a bit of herbs and cheese to the mix, it makes it even tastier. 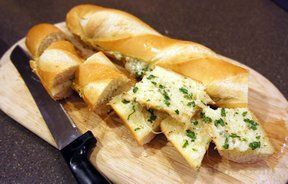 This garlic bread is tender on the inside and better yet, can be made in advance and ready to pop in the oven when you are. 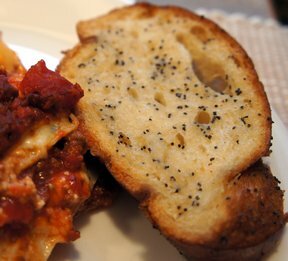 In bowl, combine butter, spices, and cheese. 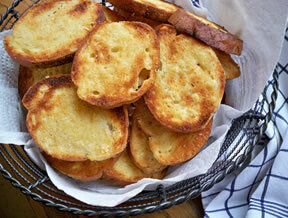 Spread mixture on each half of French bread. Wrap halves in foil. Bake 30 minutes.